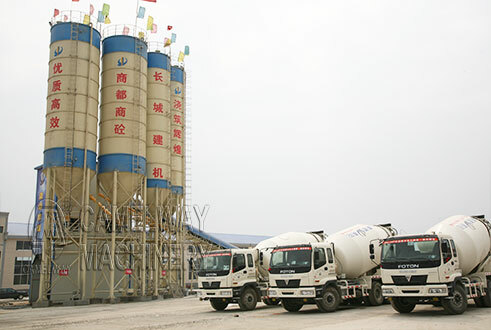 There are many common problems in the concrete mixing station, if a lot of maintenance, it is easier to find some situation, such as: sometimes abnormal noise, sometimes unable to stir, today is to learn about some situation how to determine the source of damage. During the routine inspection of the mixing station, the main working hours are done after the concrete stops stirring. After ten seconds stop mixing station, shut down the main power, then the rotating disc by hand under the belt pulley, try whether can easily make it turn a week, if you can, can that is responsible for the control of reversal valve is not destroyed, and it is proved that this place has been the need for repair, to invite relevant personnel to timely replacement. In addition, it is possible to infer whether the reverse control valve of the concrete mixing plant is damaged or not by setting an air vent under the pressure button. Under normal circumstances, the main power switch off after ten seconds, should be less or no gas discharged from the exhaust gas, if there has been a wind blown out and until the next start until the end, it can be proved that the reverse valve is damaged. This entry was posted in News and tagged cocnrete batching plant, concrete baching plant, Concrete Batching Plant by camelway. Bookmark the permalink.